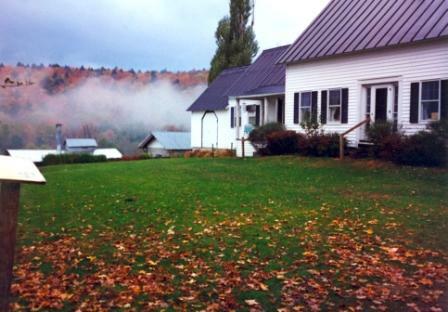 The Sugarbush Farm house was built about 1865. Here it looks lovely with Fall colors. 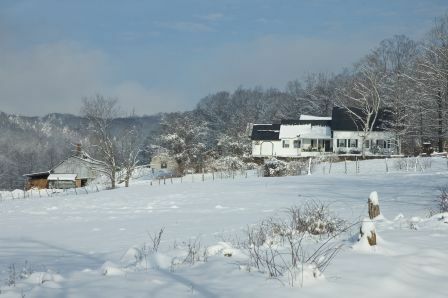 A new snow fall makes everything look beautiful. 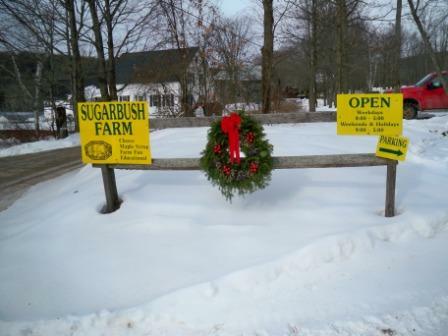 Sugarbush Farm decked out for the Holidays. 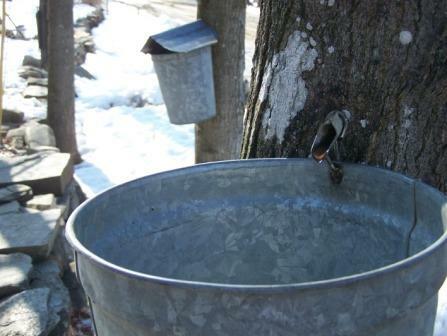 Spring brings maple syrup, melting snow and mud. 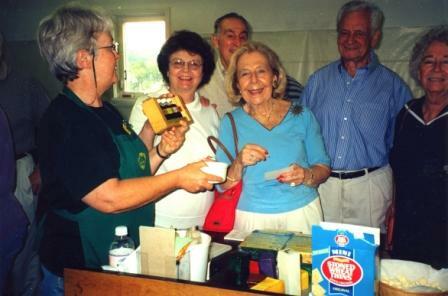 Folks getting to enjoy tasting the 4 grades of maple syrup. 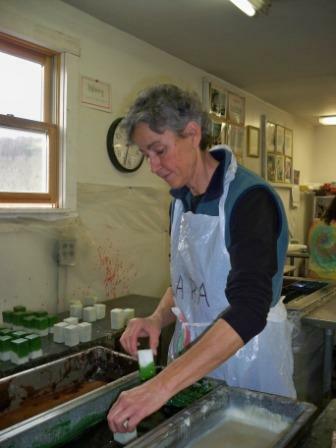 Hand waxing cheese to keep it fresh for travel and shipping. 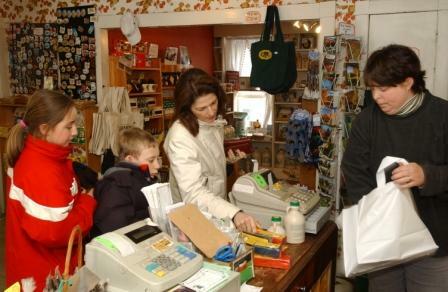 Shopping in the farm store (previously the kitchen, living room and dining room of the original Ayres family). 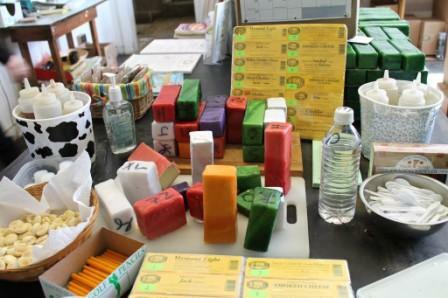 Visitors are able to taste 14 varieties of cheese and the 4 grades of maple syrup. 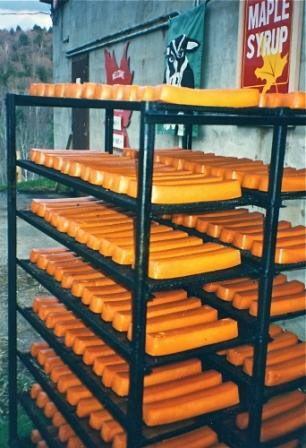 A rack of our original smoked cheese after being in our smoker for 3 days. 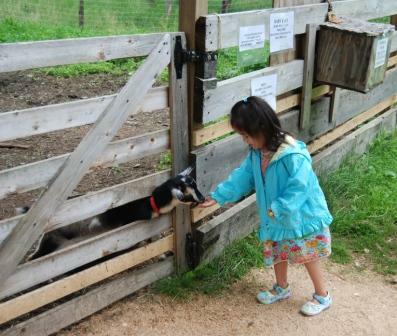 Little folks making friends with our dwarf goats. 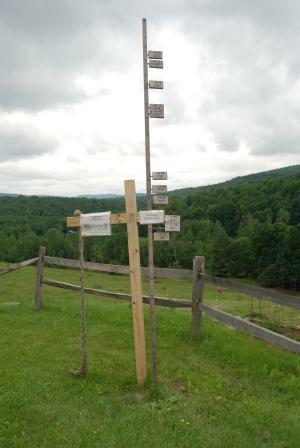 Our "snow fall pole", snow fall varies from 55 to 125 inches in a winter season. This pole records total snow fall. Luckily snow does settle down so it's not that deep when we are out in the woods walking in it. 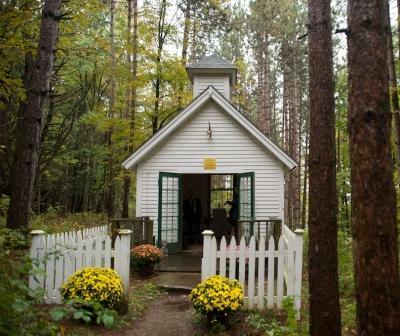 Sugarbush wedding chapel decorated for a Fall wedding. 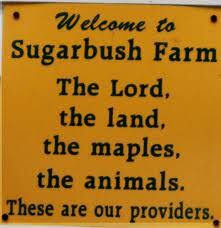 This sign on our farm chapel sums up our Family's beliefs. Sap looks like water and drips very slowly - sort of like a leaky faucet. 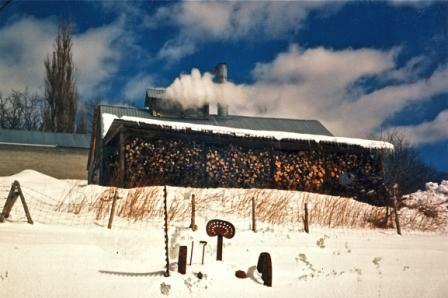 Our maple sugar house with steam from the evaporating of the water during the boiling season. 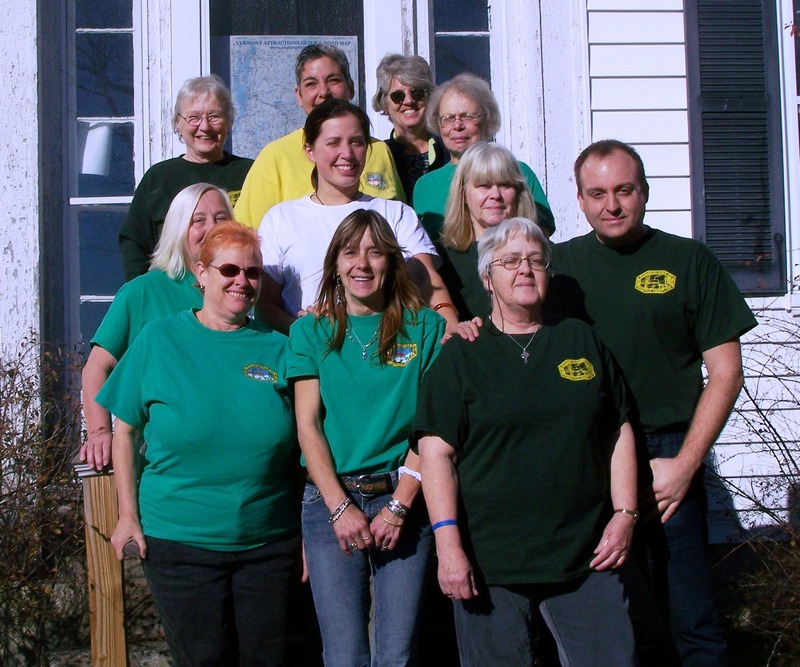 It takes a lot of wood to boil down the sap into syrup! 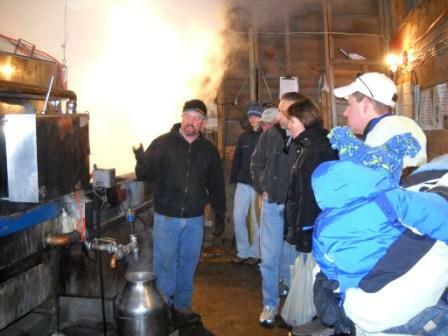 Ralph explaining the maple syrup boiling process. 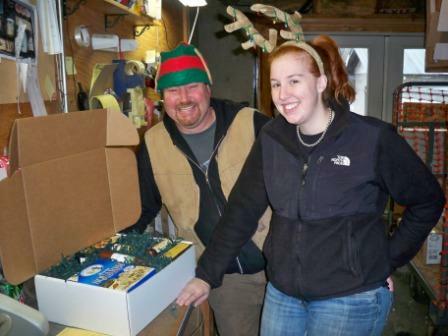 Jeff and daughter Liz, shipping out holiday gift packs. Larry and nephew Matt, hanging plastic sap lines from tree to tree. 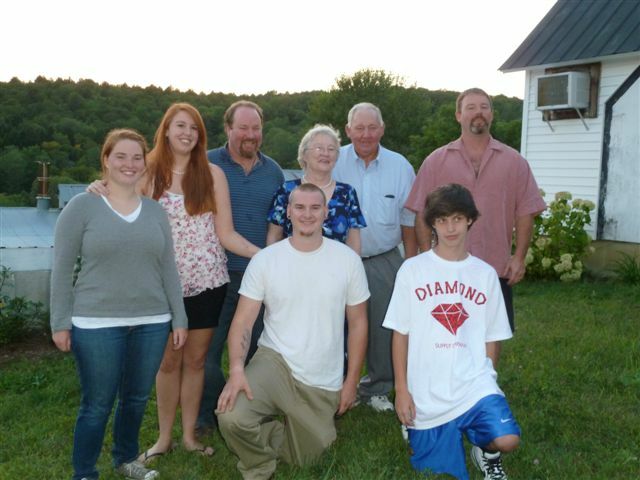 Betsy and Larry in farm store (former family living room) with folks from Texas.